Russia mulls revoking citizenship for terrorism. 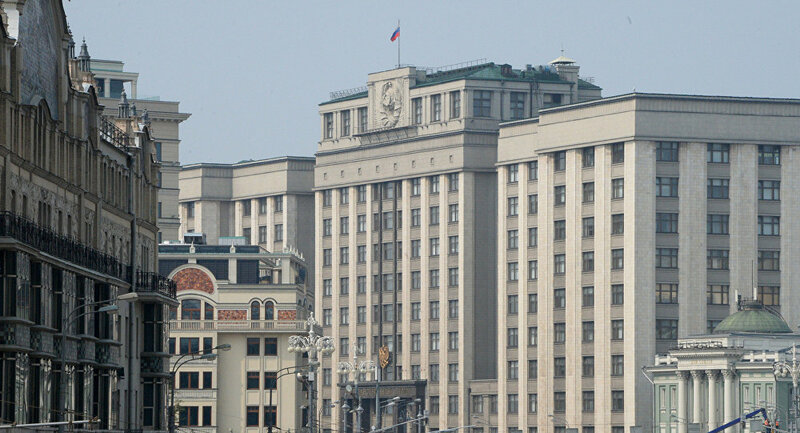 MOSCOW (Sputnik) — Draft legislation stipulating that individuals convicted of terrorism could be stripped of Russian citizenship by revoking approval decisions has been introduced by leaders of four factions in the lower house of the Russian parliament. "The draft law proposes to amend Article 22 of the Federal Law 'On the Citizenship of the Russian Federation' stipulating that a conviction of a person by a court for committing crimes of a terrorist nature constitutes the grounds for revoking the decision to grant the citizenship of the Russian Federation," the explanatory note to the draft document says. Following the April 3 terrorist attack in St. Petersburg, the idea to introduce a bill on stripping of citizenship has been brought to the spotlight. However, on April 12, Putin stated that the Russian Constitution did not allow the stripping of citizenship, but revocation of decisions to grant citizenship could be considered.